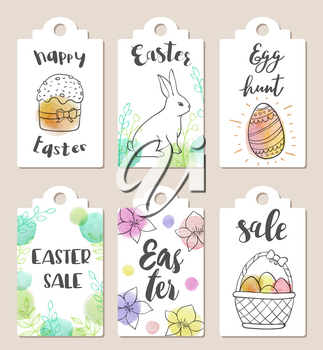 This beautiful set of hand-drawn Easter images and gift tags are perfect for greeting cards, quotes, blogs, posters and much more. Create your own tags using the decorative Easter icons. 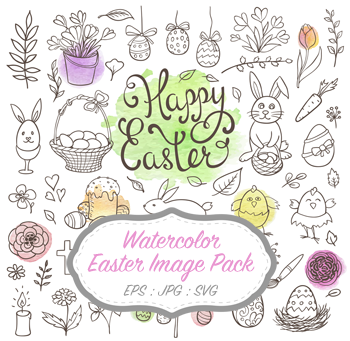 Tons of assorted Easter elements with a watercolor background. Great selection of flowers, eggs, bunnies, chicks and much more! 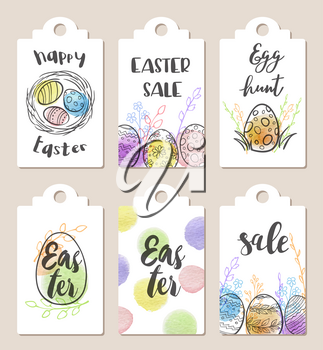 12 different professionally designed Easter-themed gift tags. Available file format(s): EPS [9,799.9 Kb] JPG [9,898.5 Kb] SVG [3,190.5 Kb] (ZIP files).